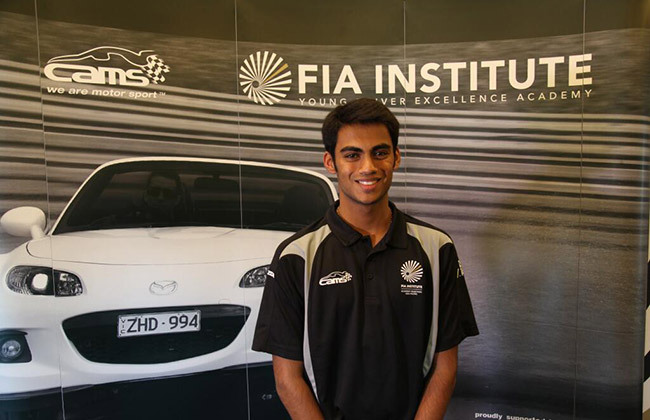 Indian Driver Akhil Rabindra won himself a place in FIA Young Drivers Excellence Academy hosted by the Confederation of Australian Motor Sport (CAMS) after three days of tests and evaluation. There were three judges on the selection panel with the Gus Glover from the FIA Institute, Academy Instructor Dr. Tony Turner and Lead Driving Instructor Cameron McConville. In the end it was a tough decision, but all three felt Rabindra was a worthy winner, and he was naturally thrilled to have been chosen with the announcement made by FIA Institute Deputy President Garry Connelly. I am honoured to have been selected I would like to thank the FIA Institute, CAMS and my ASN The FMSCI for making this possible. I am looking forward to taking on the other drivers from across the world. The Academy should be great and I hope to lean a lot.” said the winner, Rabindra. Andrew Papadopoulos, President of CAMS, which hosted the event on behalf of the FIA Institute, congratulated the winner and all those involved. “It has been fantastic to host this event we would like to thank the New South Wales Institute of Sport and Sydney Motorsport Park and Mazda for their support. Driver development is important in the Asia Pacific region and we are happy to have helped raise the standard in this part of the world.” said Papadopoulos. On the final day of the selection event the 12 drivers were whittled down to three, Rabindra, Petr Borodin from Kazakhstan and Mark Gibson from New Zealand. Indian People are making their marks in different things and one such thing is Racing. This is what we should call “Racing DNA Unleashed.